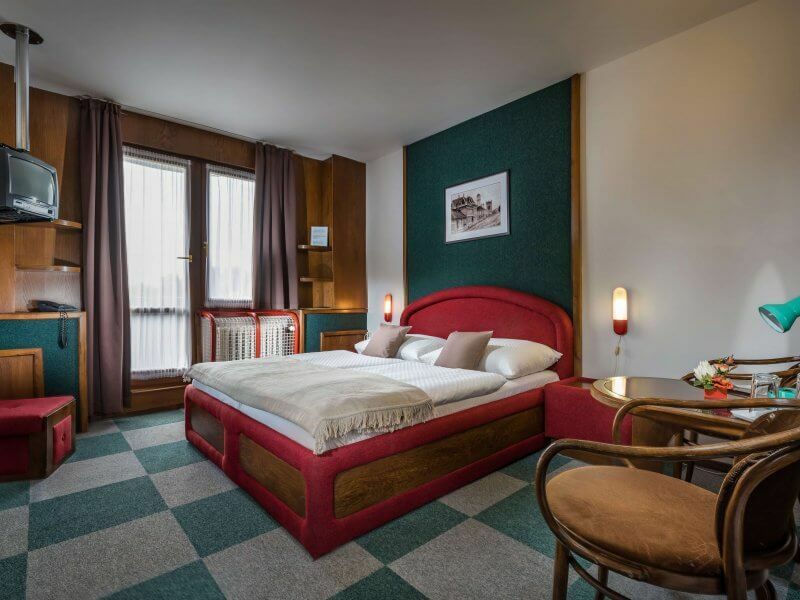 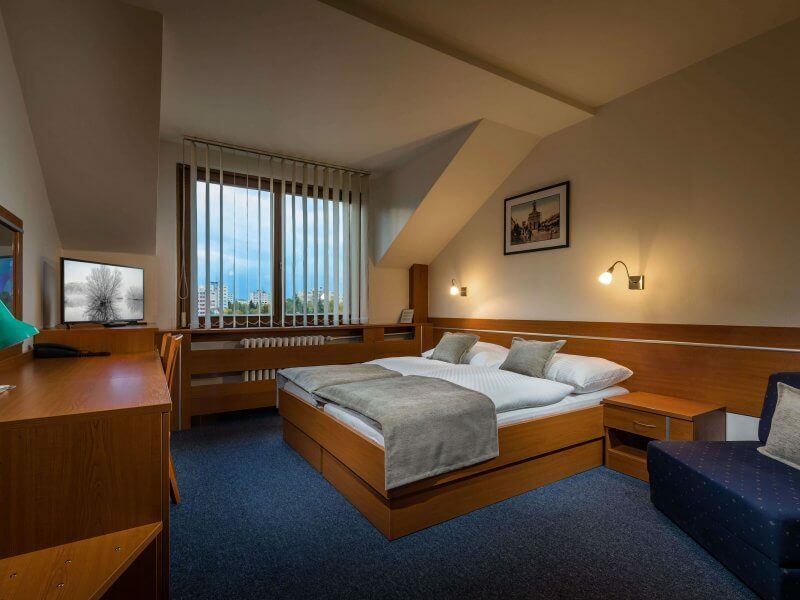 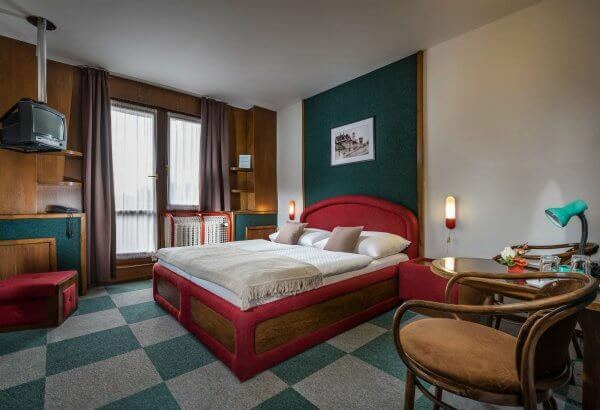 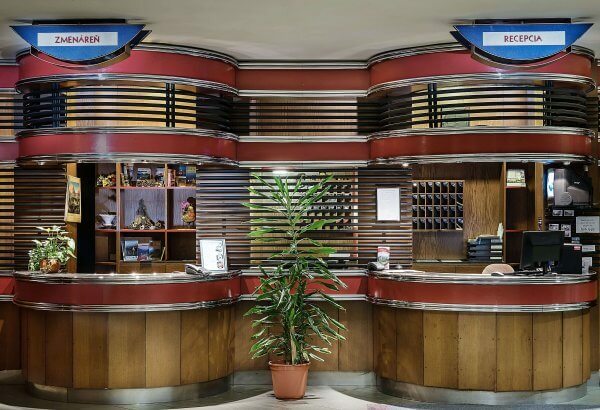 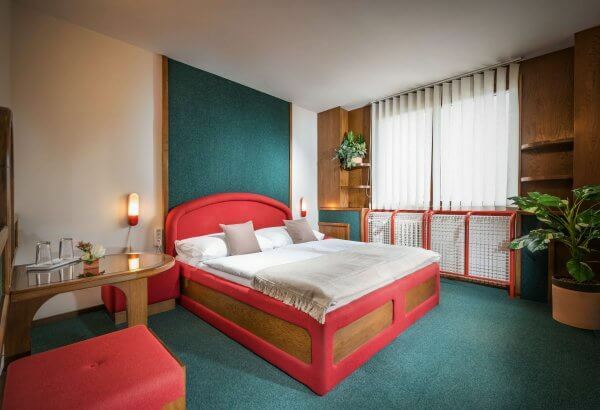 Hotel Poprad is a stylish 3-star retro hotel in the town centre of Poprad, where you can experience the authentic atmosphere of the times long gone, that we have enlivened and given a contemporary and stylish finish to. 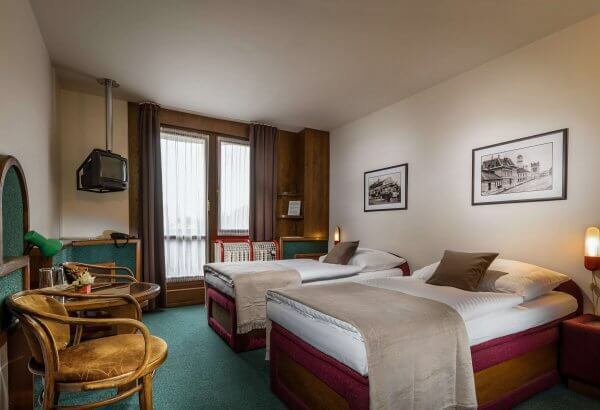 Therefore if you feel like taking a rest from the fast-paced presence, you will enjoy our place! 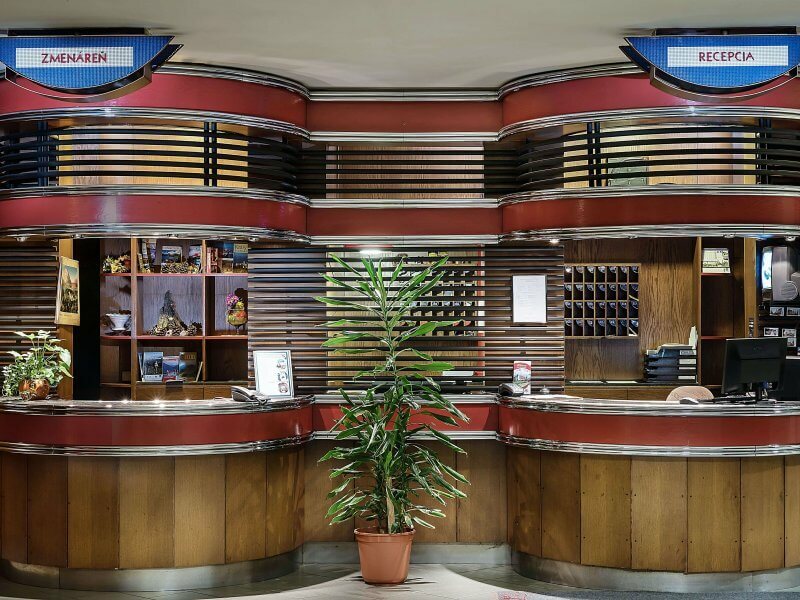 Here you can find comfortable, interesting accommodation, a traditional restaurant, conference rooms and the true retro spirit of our hotel. 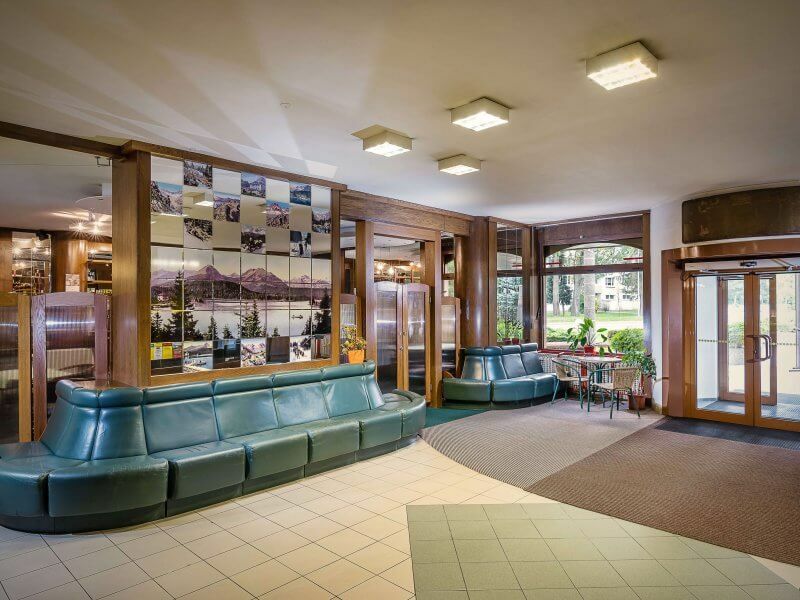 The first thing that catches your eye already at the entrance is the typical architecture. 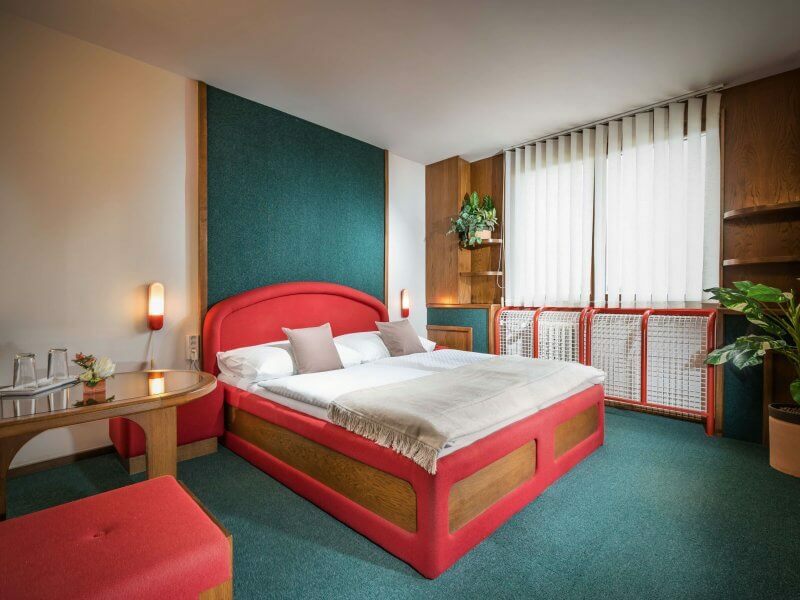 The non-smoking hotel rooms with the overall capacity of 120 fixed beds + 24 additional beds (50x Double room, 4x Wheelchair accessible Double room, 6x Apartment) are furnished in a cosy and comfortable way, whereby the red colour, wooden furniture, an upholstered bed and stylish decorations will put you in a right mood. 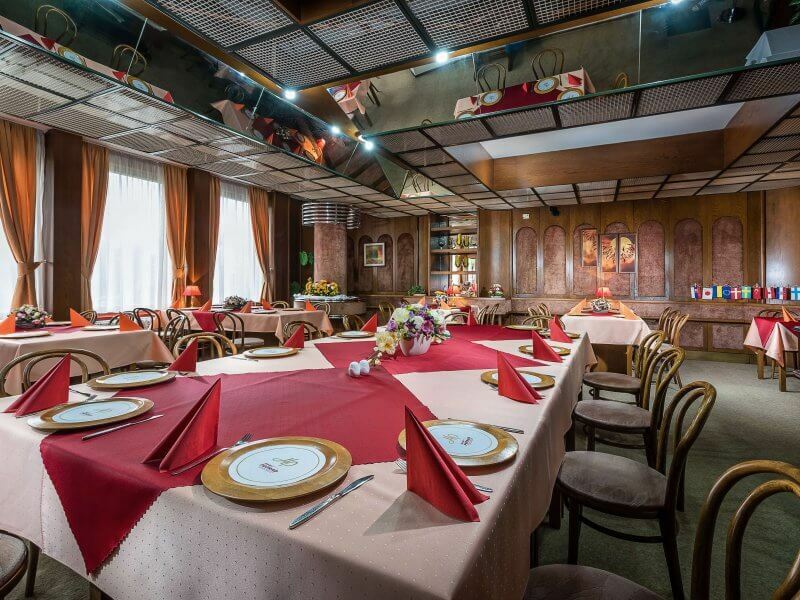 When entering the restaurant, you will feel as if finding yourself in the past. 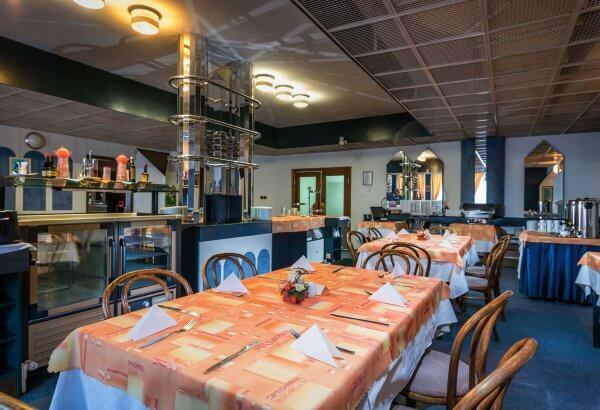 As you see our lunch menu, it will be immediately clear to you that the time has stopped in here too. 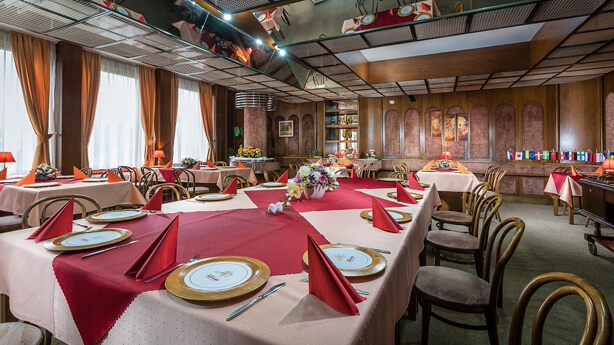 And after opening the menu, we will not disappoint you either. 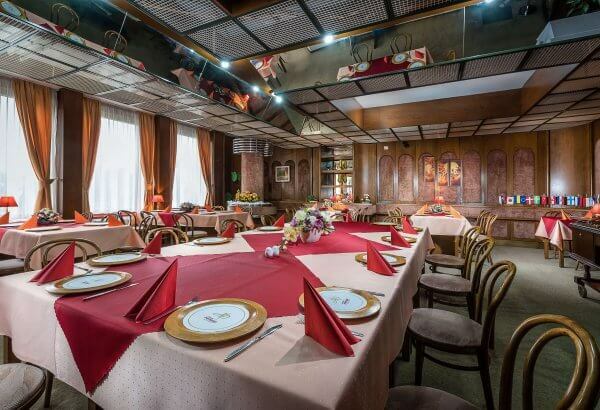 You can enjoy the tastes of typical meals and drinks from the past. 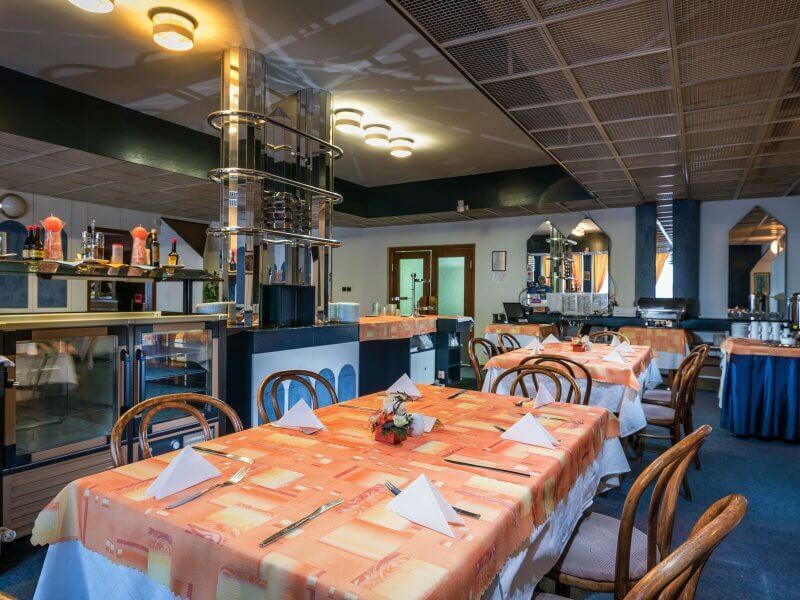 Do you feel like having an old-fashioned lemonade or good traditional meal? 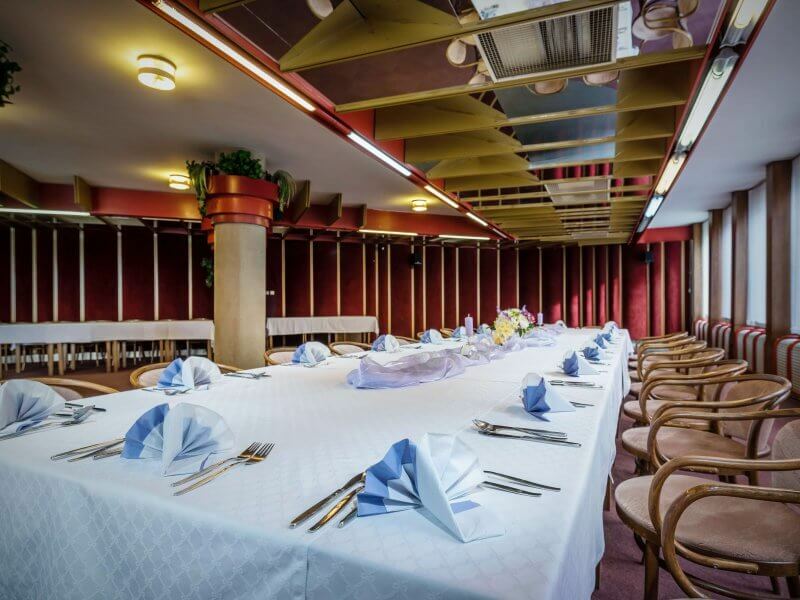 We will prepare and serve it in a stylish way to you. 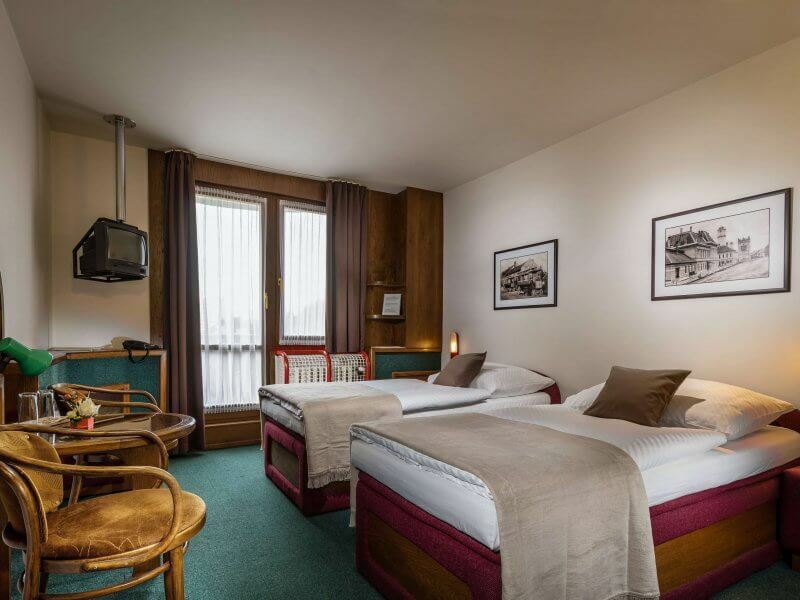 Everyone finds something interesting here, those who want to recall their nostalgic memories but also the fans of the past, who are the guests of ours that did not experience that era but would like to try the experience themselves. 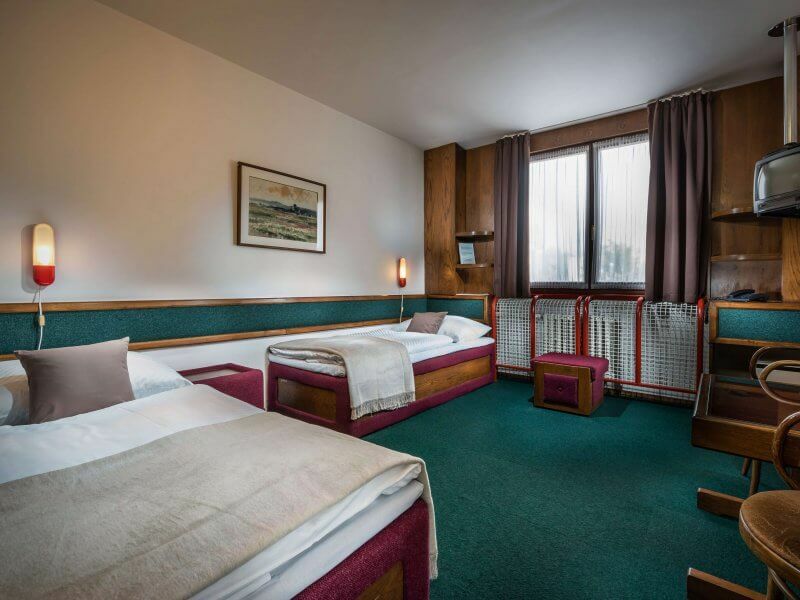 Hotel Poprad does not offer just ordinary accommodation in Poprad but accommodation with a story. 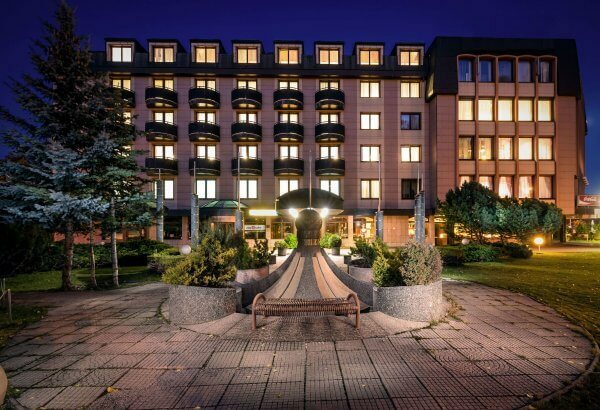 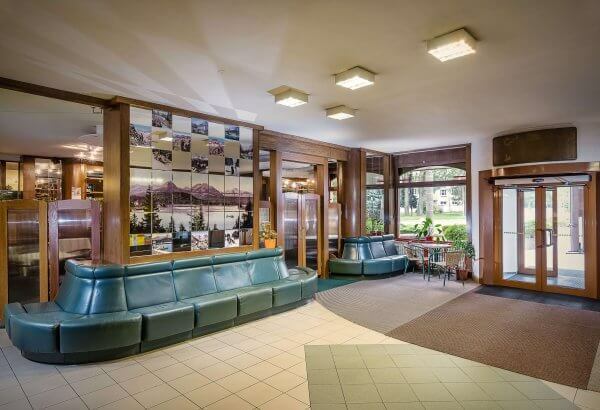 That is why if you need accommodation in the High Tatras, have plans to visit AquaCity Poprad or just would like to get to know Poprad town, this hotel is the right place where lay your head and start your discovering new adventures from. 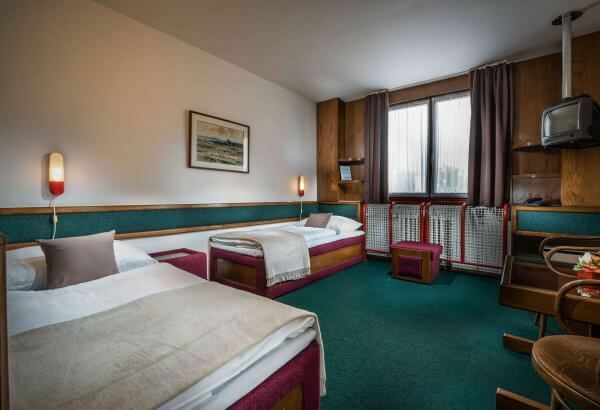 And also, if the holiday spent in Slovakia is your number one choice and you would like to visit the national parks TANAP, NAPANT, Pieniny and Slovenský raj, the location of our hotel will enchant you completely. 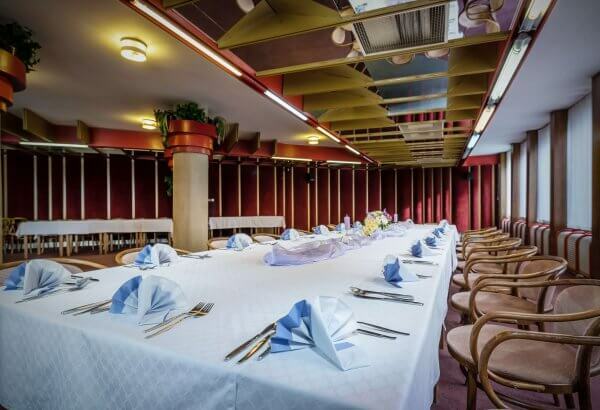 The hotel is also a very nice place where you can organize various events and celebrations as well. 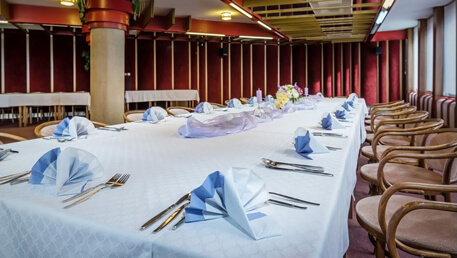 If you are looking for suitable spots in Poprad, where you would like your birthday celebration, christening party, first communion, confirmation celebration or another family gathering to become a special event, you will find them in our hotel. 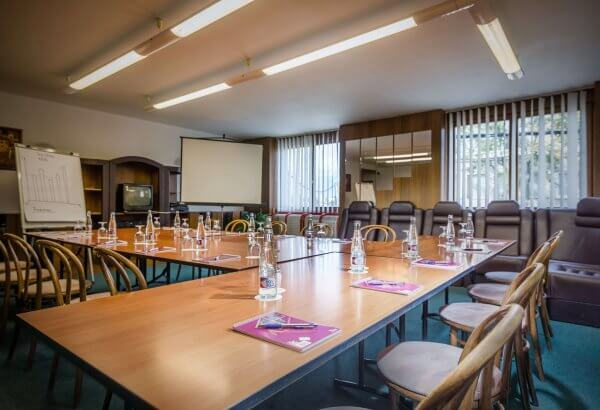 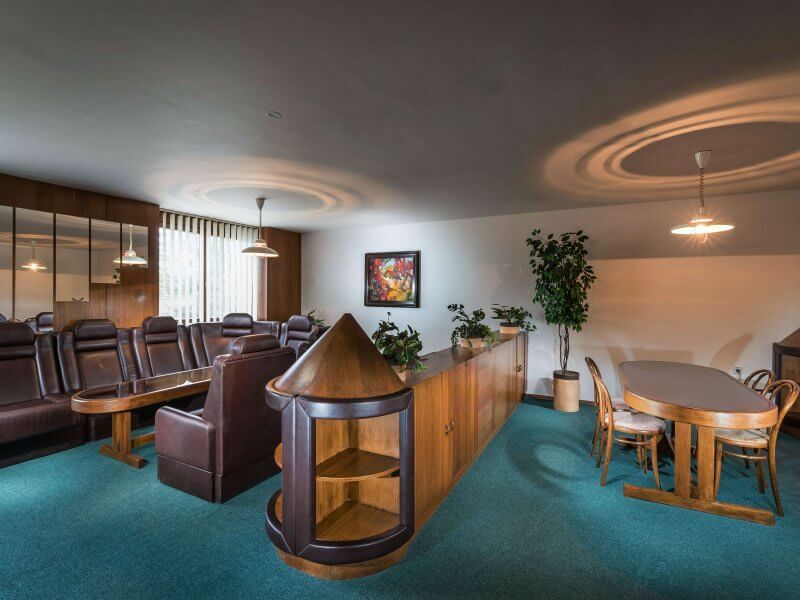 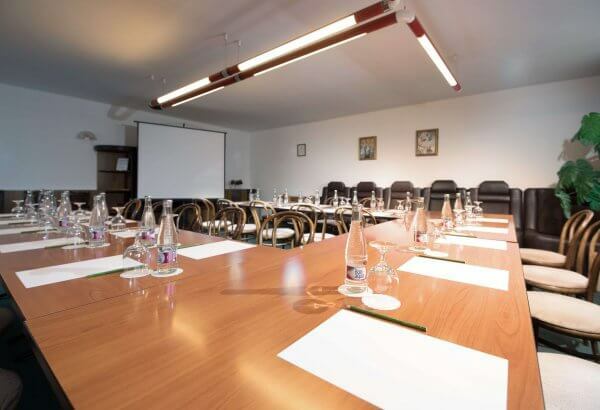 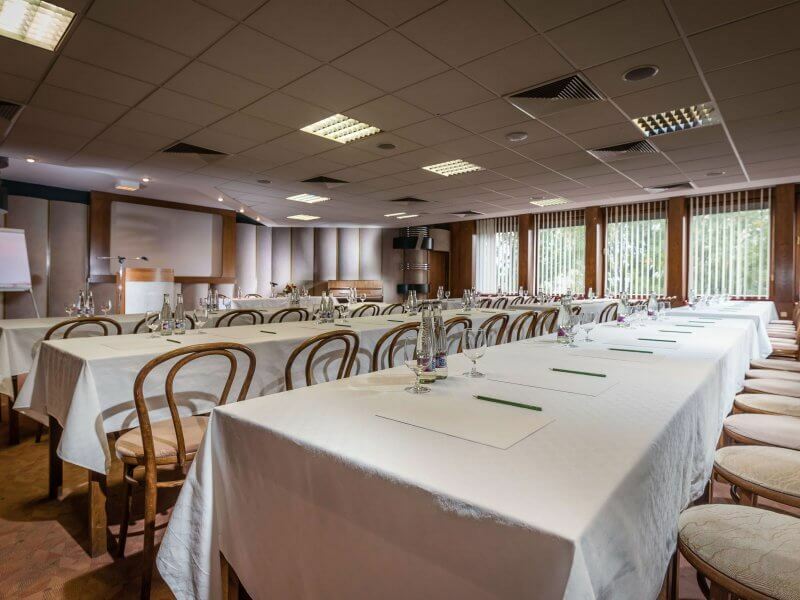 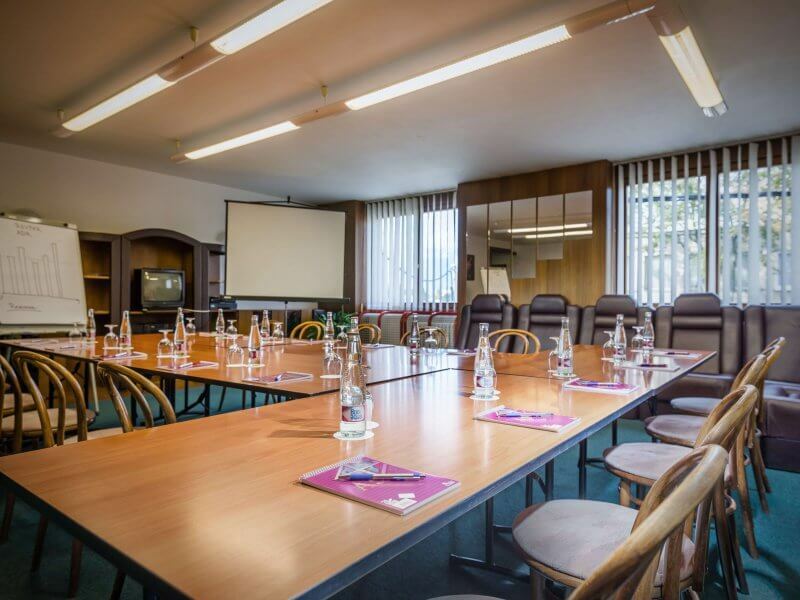 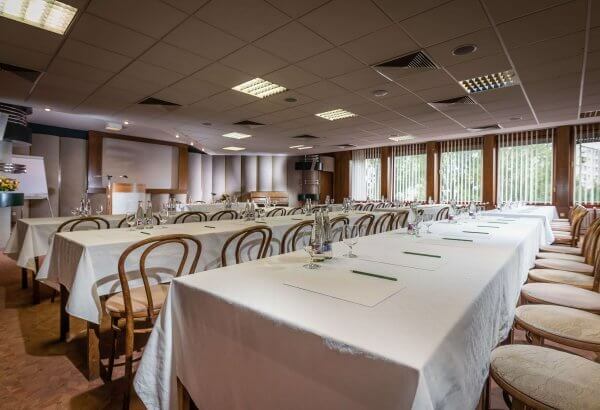 We can provide you with a conference room, large reception room and three lounge rooms. 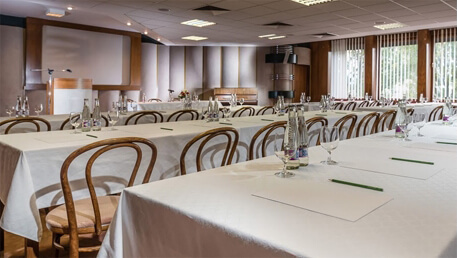 The conference room we have in our hotel has been designed for organizing conferences and educational courses. 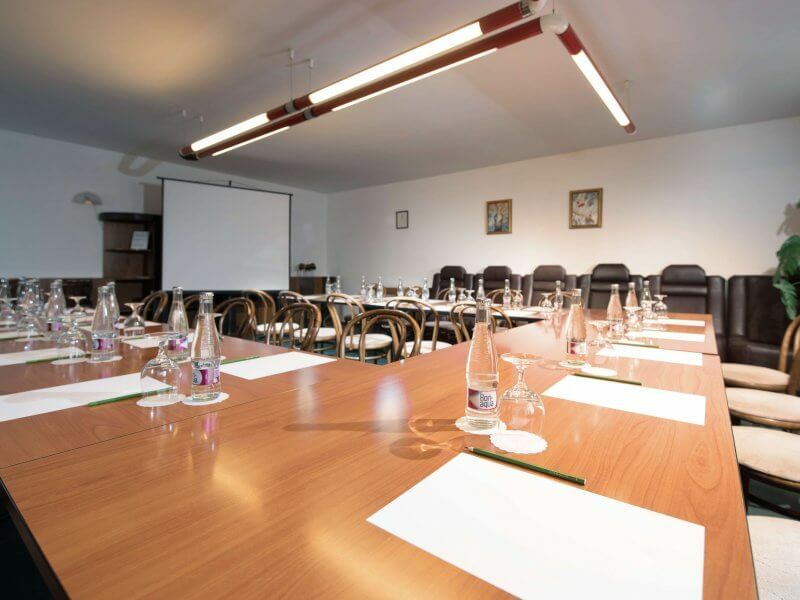 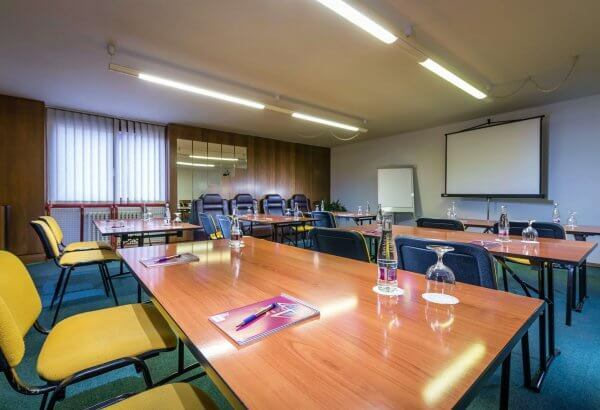 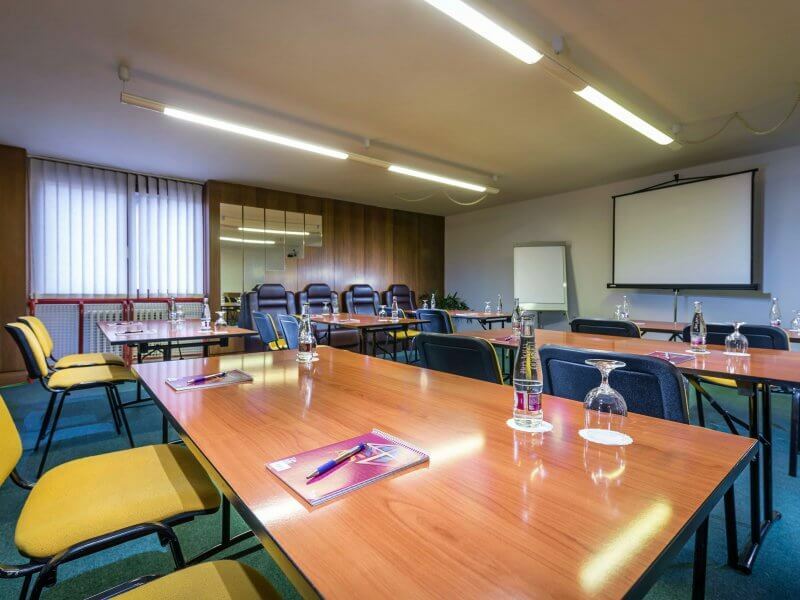 Therefore if you consider dealing with your work duties in the nearest future, you have all in one at our place: a hotel, conference room, stylish restaurant in Poprad, the High Tatras, AquaCity Poprad, Poprad town. 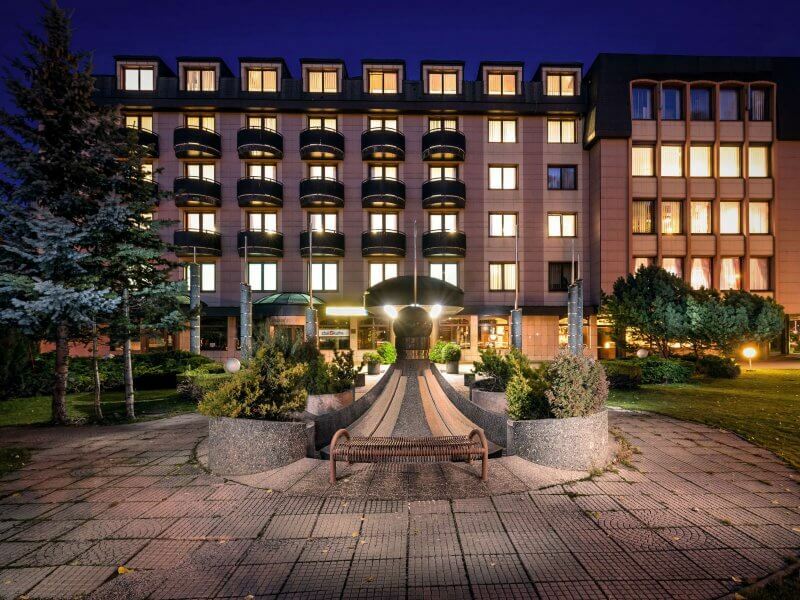 At our hotel you are welcome to stay also with your pet. 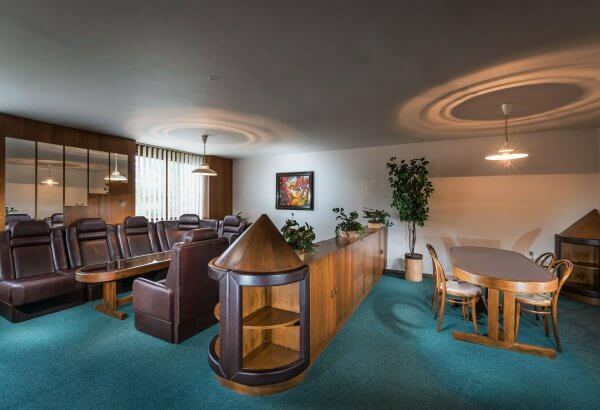 The only thing we have not borrowed from the past is that smoking is not allowed in it. 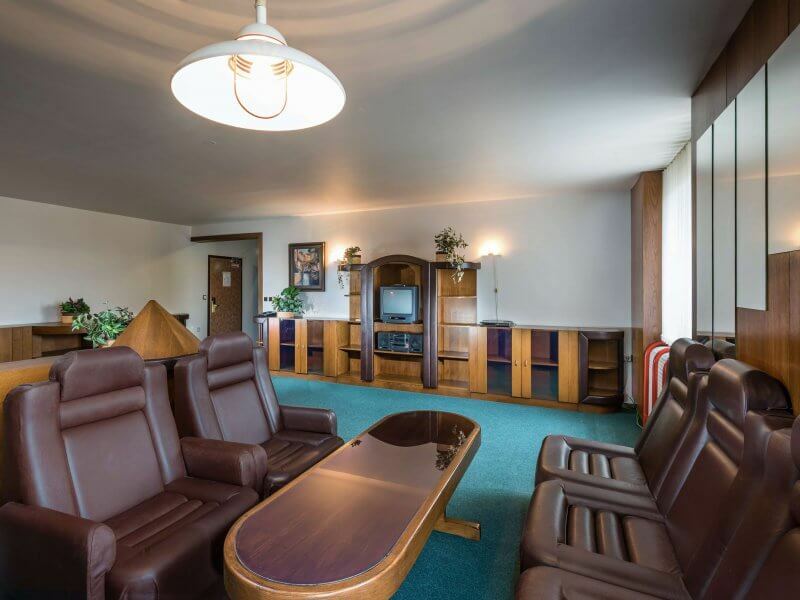 If you remember, it used to be very common to smoke completely everywhere. 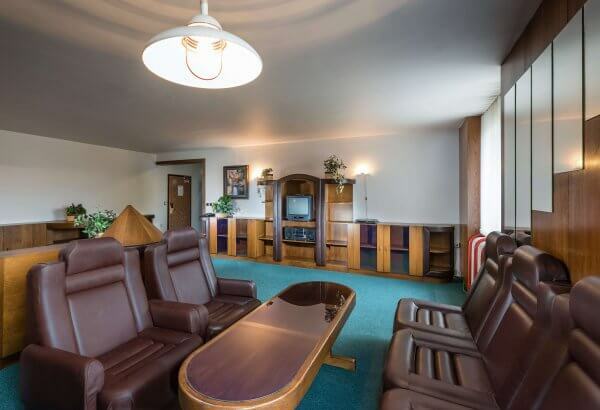 and enjoy everything connected with that.